John Bunzl is a global political activist and businessman with a new and compelling vision for citizen-driven global governance. In 1998 the idea for Simultaneous Policy occurred to him as a potential means for removing the barriers which prevent many of today’s global problems from being solved. In 2000 he founded the International Simultaneous Policy Organisation (ISPO) and launched the Simultaneous Policy (Simpol) campaign. In 2001, he set out the campaign in his first book of the same name. The Simpol campaign has since steadily been gathering increasing attention, recognition and support amongst citizens, activists, non-governmental organisations, politicians, business people and many others. In 2003 he co-authored his second book, Monetary Reform – Making it Happen!, written with the prominent monetary reformer, James Robertson. In 2009 he authored a third book, People-centred Global Governance – Making it Happen! 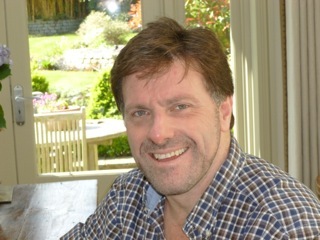 A number of John’s articles on global governance have been published by the Journal of Integral Theory & Practice, including Solving Climate Change – Achieving a Noospheric Agreement (2009), Discovering an Integral Civic Consciousness in a Global Age (due early 2012), and Transcending First-tier Values in Achieving Binding Global Governance (due later in 2012). He has lectured widely, including to The Schumacher Society, The World Trade Organisation, The Lucis Trust and at various universities around the world. John is a company director living in London. He has three children.